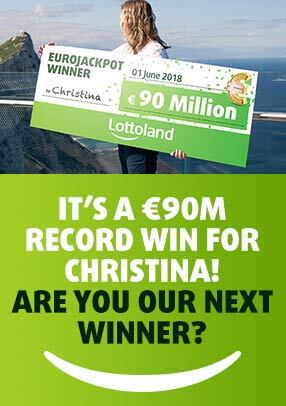 Have you heard of the world famous Irish National Lottery? With Lottoland South Africa, South African residents (18+) can now place a fixed odds bet. Choose 6 out of 47 to bet for the main prize, the bonus prize or any of the other prize tiers. The Irish National Lottery draws are on Wednesdays and Saturdays, and there are two extra games that follow called Lotto Plus 1 and Lotto Plus 2. The two extra games give you the chance to win extra bonus payouts. There are Irish National Lottery draws twice a week and jackpots, which are worth a minimum of *€2 million, so see if you have some Irish luck tonight for only R35!